What is the signal pathway for eye growth regulation? 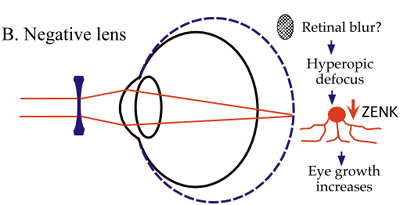 The implication of this result is there are defocus selective pathways within the retina. 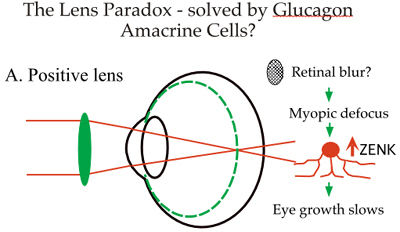 How this selectivity property is conferred glucagonergic amacrine cells and how their signal is transferred to the two main effector tissues, the choroid and sclera, is yet another hot topic. The application of neurotoxins to selectively inactive subpopulations of retinal cells is one of the approaches being used to tease out the retinal circuitry involved.